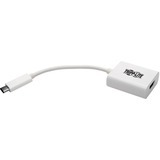 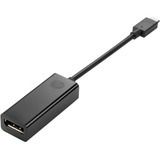 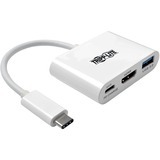 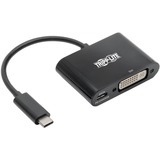 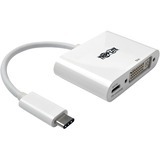 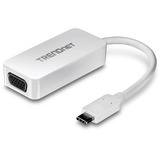 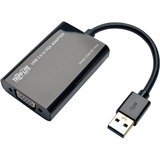 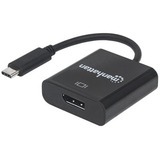 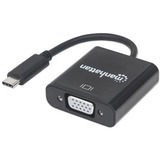 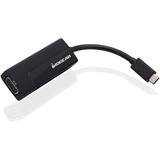 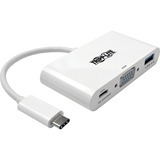 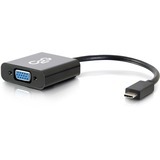 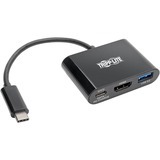 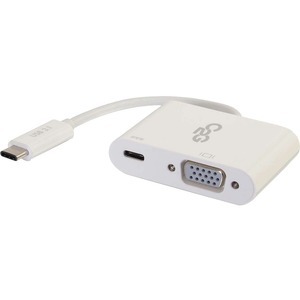 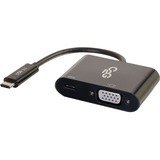 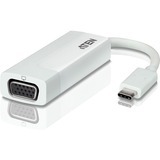 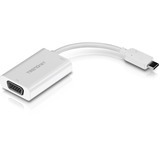 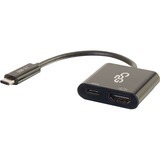 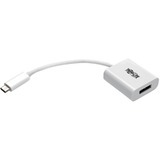 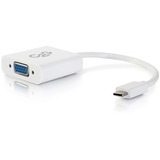 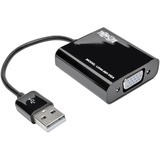 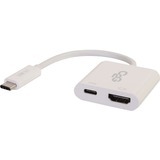 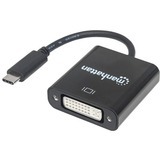 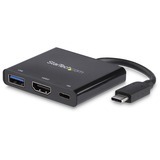 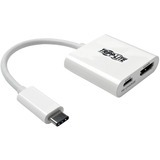 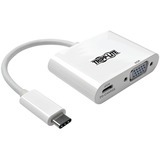 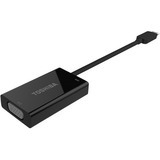 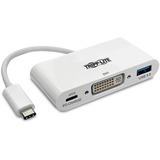 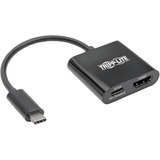 The USB-C to VGA Video Adapter Converter with Power Delivery is an ideal solution for connecting a device with a USB 3.1 Type-C connector to an HDTV, projector, or other display with a VGA port while simultaneously charging the source device. 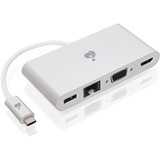 The video support is built into the USB Type-C ports to feed an video signal to a VGA HDTV or projector. This adapter supports resolutions up to 1920x1200 at 60Hz, allowing it to deliver a high quality video image to the connected display. 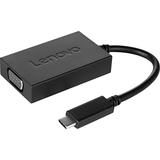 Ensure that a USB-C equipped laptop, smartphone, or tablet is fully charged and ready to go while displaying video content. 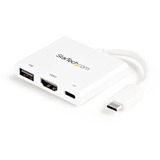 Deliver up to 60W of charging power to the connected device whether you are out in the field presenting, hot-desking, or at home streaming movies. This video adapter converter offers a light-weight, portable, and simple way to deliver video and stay charged up. 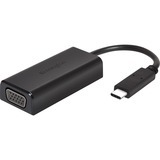 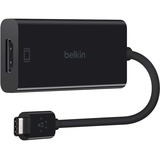 The USB-C connector has a robust design allowing for the connector to be plugged in and un-plugged up to 10,000 times. 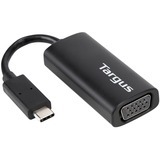 The sturdy construction ensures that the product provides peace of mind and is built to stand up to the rigors the most demanding on-the-go life. 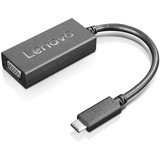 The USB-C connector has a symmetrical design which is identical on both sides, so it does not matter if you plug it in upside-down or right-side-up. 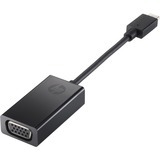 It will plug in the first time, every time while preventing damage to the connector port. 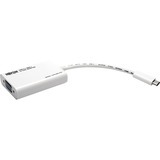 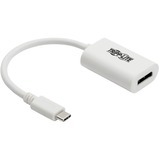 The color-coded USB Type-C connector allows this cable to be easily identified as a USB 2.0 cable and differentiated from other cables which may support a different feature set.